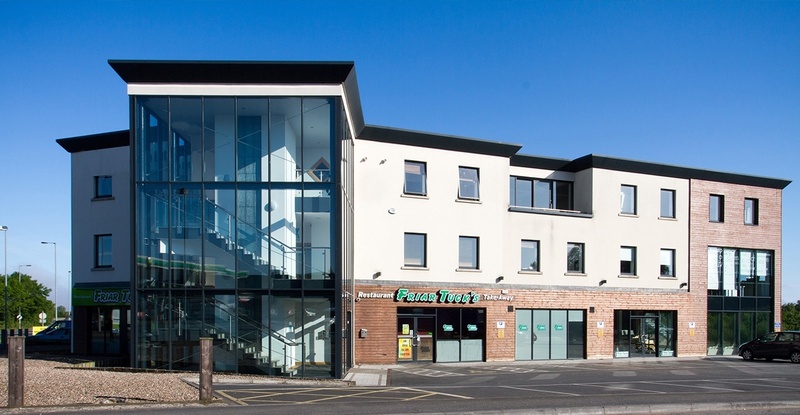 This mixed use development is situated just off the M1 motorway at the Lurgan exit and forms part of a larger complex, including petrol filling station, supermarket and retail units and restaurant. There are also future plans to develop the site further to include a 50 bedroom hotel. The 15,500sq/ft building consists of three floors, providing office accommodation, gymnasium and ground floor restaurant and retail space. Timber cladding in conjunction with architectural glazing was used to provide a modern building. 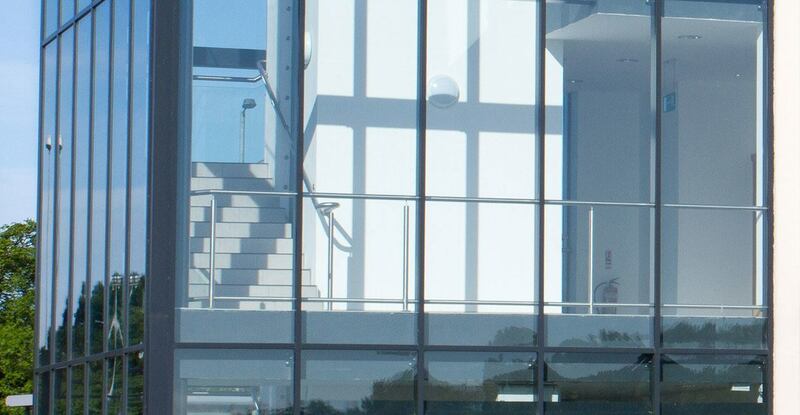 The glazed atrium with central lift shaft allows access to all levels.